At Maker Faire Milwaukee in 2015 I presented a piece titled Apple Watch, and at least one person enjoyed it enough to make me think about creating another piece utilizing the same concept, so for Maker Faire Milwaukee 2016 I presented Apple Wait…. 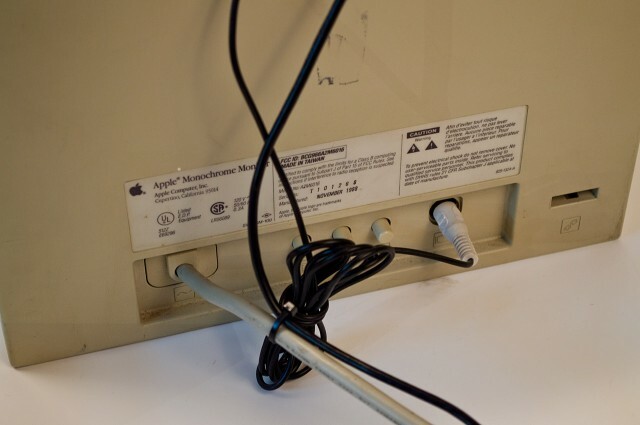 Apple Wait… (like Apple Watch) consisted of a Raspberry Pi Model B connected to an Apple Monochrome Monitor from 1988. Instead of just attaching the Raspberry Pi to the monitor with some gaff tape, I added in one more reference to technology, an iPhone box. 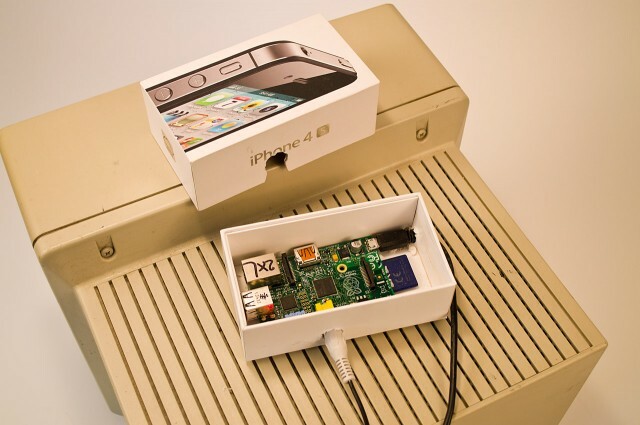 It seems the box for an iPhone is just the right size to house a Raspberry Pi Model B. 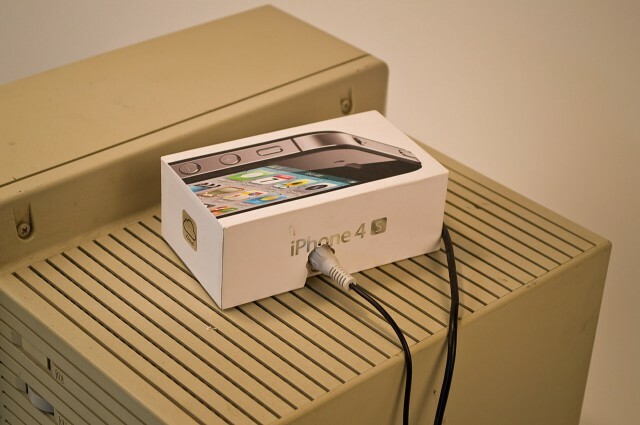 Interesting enough, the iPhone 4S and the Raspberry Pi Model B were released about the same time frame. They are very different devices, with different goals, aimed at different audiences. Why not merge the two together? Technology is interesting! 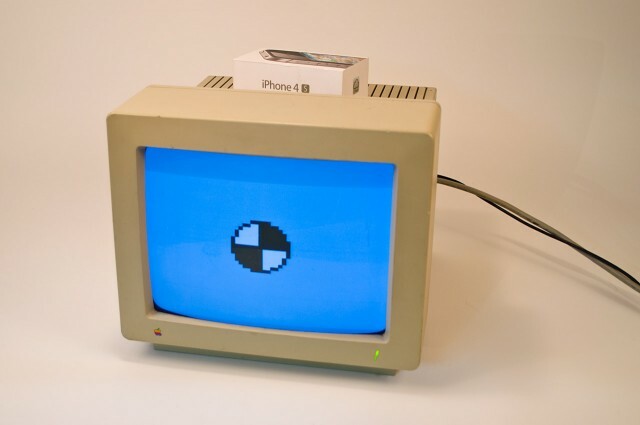 For Apple Wait… I took a busy indicator cursor from the olden days of computing on Apple devices and brought it into the modern day, but made it 8-bit and low-rez, because retro is in. 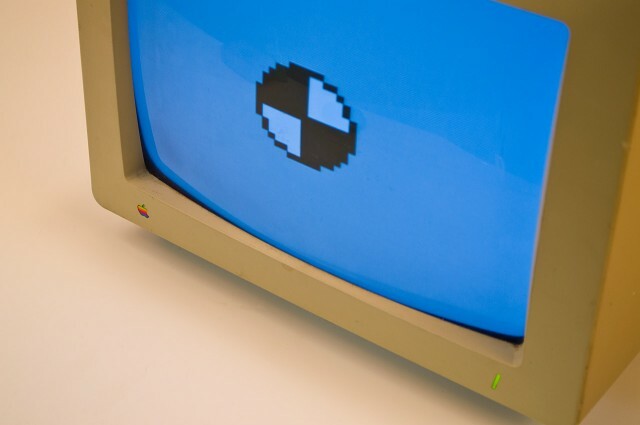 If you’re interested in learning more about old things, check out Where did the loading spinner originate?, The Design of Spinning Indicators, Spinning pinwheel, History of the Mac Spinning Wait Cursor, and just for a laugh, The Marble of Doom. Posted on Sunday, April 9th, 2017 at 8:50 am. Subscribe to the comments feed. Both comments and pings are currently closed. Post on your own blog.